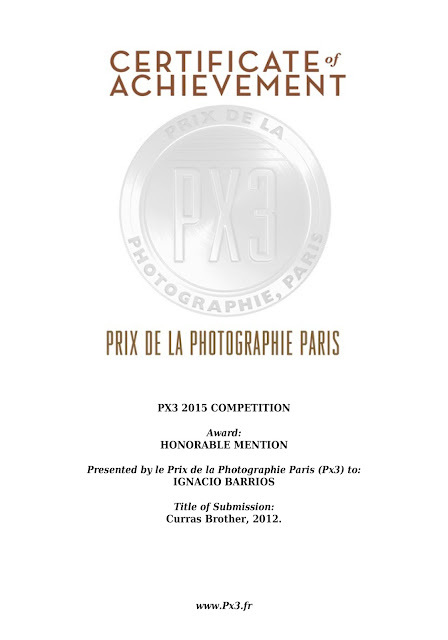 IGNACIO BARRIOS OF SPAIN WAS AWARDED THIRD PRIZE AND HONORABLE MENTION IN THE PX3 2015 COMPETITION. 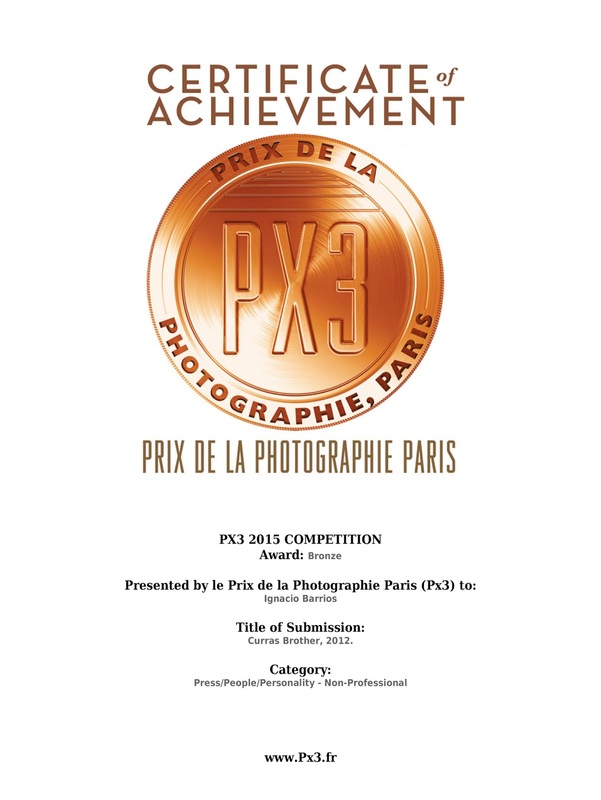 Ignacio Barrios of Spain was Awarded: Third Prize in category Press for the entry entitled, " Curras Brother, 2012. ." The jury selected PX3 2015’s winners from thousands of photography entries from over 85 countries.